Get it on the AppStore ! 4 difficulty modes : starting from “Beginner” and reaching “Pro” , they allow players to skill up gradually their flight abilities, enjoy some relaxing and stable flight, fast and arcadish races or a very realistic and sensitive behaviour. A direct consequence of our new physics Engine is that we simply had to give more strength to electronic stabilisation and inertia cancellation to make the vehicle easier to flight, but still very realistic in its behaviours. Even in beginner mode your are still flying a realistic physic simulation of the vehicle. Yes mate, it does. Anyways, lowering your left stick will turn your heli on. hope it helps! Oh. What device are you playing on Sean? Unfortunately, we can’t guarantee the game to run properly on those devices currently out from the “supported” list, Sean. Our usual xmas update didn’t make it for the 25th but it will be approved by Apple right after the holidays, hopefully. Expect some juicy new stuff. And happy Christmas, of course! Also, are you going to add Christmas music to RC plane 2? Like last year? THIS GAME IS FROZEN PEPPERS NEW MASTER PIECE!!!! I really loved it. The graphics are fabulous, the simulation and controls are very realistic and sound effects and music is superior compared to your older games. I like the concept of have online multiplayer air race, this too should be added to create plane 2 or the next generations. Now I going to install on the Mac. I love the presentation in the flight school mission .The game downloaded and ran smoothly. But wait I can’t find it on the Mac app store, is there one or is it not yet ready. Although I said that the game ran smoothly, it started laging like hell after I started the first microGp track, this has now also affected my free flight mode. I don’t want to get any in-app purchases if my programme does not run smoothly, I use an iPad 2. The MacOSX version of the game is not out, yet. Ipad 2 is not a supported device. i understand your frustration since i own an iPad 2 myself. We did our best but ..its hardware is just too slow for this. I’m back. So Rc plane 2 is crashing a little more. Also on mountain my name won’t pop up for the time it takes me to complete it. And what about Rc Heli 2? The app on my home screen is different than in the App Store. I like the App Store version better? Are you guys even updating it anyway? How do I unlock more of the house. I don’t want to fly around in the living room for the entire game! to unlock every door in Free Flight you have to complete racing championships (Micro/Regular). Race number 2 of any of the two championships will be enough to unlock the kitchen door and the main entrance to enjoy the rest of the outside scenario, tho. Sorry it cut me off. But in the new campus scenario you float above the water runway. Not to overwhelm you but they’re just things that I thought would help you get rid of a few more problems in the next update. 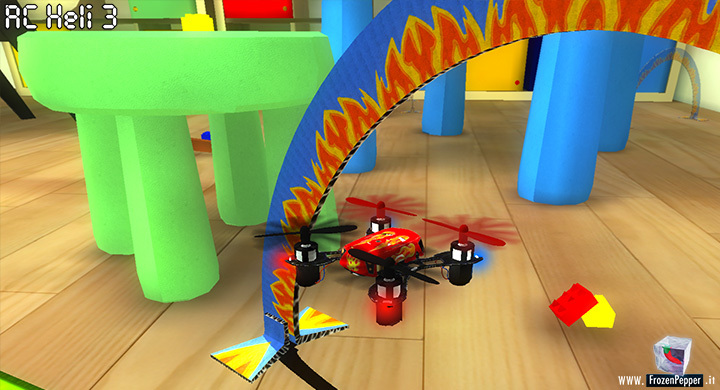 And do you guys still update Rc Heli 2? Same problem, impossible to turn off, can you traduce in french, i don’t understand how to start. What device are you playing on ? Is the game compatible with the iPad mini 3? All the buttons work but I can’t lower the left thumb stick to turn on the heli? Please make it work for iPod 6. I just wasted an hour trying to get it to work and I love the other games. So please fix it soon. slowly working on it, but unfortunately due apple 64bit requirement for new apps and updates, work is quite big. In an ideal world, all bundles of RC Heli 3 should be free of charge for customers who paid the full 22 Euro for all planes of RC Plane 3, since its the same game, just in a different app….